If you are a race fan, Daytona International Speedway is a must see. This spectacular and recently renovated venue is home to the Daytona 500, the most prestigious race in NASCAR. The largest combined car show and swap meet in the United States is also held at Daytona International Speedway. It’s called the Turkey Run, and it showcases over 6,000 vintage classic, muscle and race cars and trucks for show and sale, over 2,500 swap meet spaces, plus food and entertainment! Daytona Beach is also famous for its motorcycle rallies. The streets are filled with the sound of live bands and the low rumble of hundreds of bikes during Bike Week in March and Biketoberfest in the fall. Art and music are also a big part of Daytona Beach events. Halifax Art Festival, the second oldest continual art festival in Florida, features hundreds of artisans from across the country in early November; and Daytona Beach Bandshell, a scenic, historic music venue, provides free beachside concerts throughout the year. Daytona is even known as the “Festival Capital of Florida” because so many festivals, including the Celtic Festival, Festa Italiana, the Greek Festival and Festival of the Arts are held here. Daytona Beach is a great place to be during the holidays too. Take a holiday tour, and ring in the New Year right with an extravagant New Year’s Eve Celebration on Main Street. You’ve been dreaming about it since you were a little girl. You can see it all…fragrant, gorgeous flowers surround you and your guests, and you have been dreaming about it for so long that you can actually feel your silky white dress against your skin. It’s a wedding fairytales are made of. But wait. Let’s make it even better. Ever consider holding your wedding ceremony, maybe even your reception as well, right on the beach? Think about it. In addition to all of the wonderful things you imagined about your wedding day, you would have nature’s most beautiful scenery at your back; your toes would be in the sand; and you would be able to hear the ocean waves gently lap against the shore. Sharing your vows on the beach with the man of your dreams can bring even more beauty and meaning to your wedding, and there is no better place for a destination wedding than Daytona Beach. Daytona Beach is famous for miles and miles of pristine white sand beaches. It also offers a variety of high-end dining venues if you prefer to hold your reception at a restaurant instead of having it catered on the beach. And there is no better wedding planner than Affordable Beach Wedding, Central Florida’s premier beach wedding company. We work closely with you to create the wedding of your dreams at an affordable price. We take care of all of the details from elegant arches and canopy displays, to on-site hair styling and make-up, photography, videography, flowers, your cake, band, DJ and more. We even help you choose the perfect wedding officiant and vows, and take care of your wedding license. There is nothing left to do, but enjoy your perfect Daytona Beach wedding. Daytona Beach Is Rich in History, Beauty and Fun! People have been flocking to Daytona Beach for centuries. It all began in 1513 when Ponce de Leon discovered the Fountain of Youth. Wealthy northerner Matthias Day fell in love with Daytona, built the first hotel here in 1874 and become known as the Founding Father of Daytona. Jackie Robinson played in the first integrated game here during spring training in 1946. Bill France founded NASCAR in 1948, and built the World Center of Racing – Daytona International Speedway. There are 23 miles of gorgeous white sand beaches in Daytona, so beach time is always an option. Soak up some rays or take a scenic riverboat tour. Rent a jet boat or a jet ski. Surf the waves, or kayak or paddleboard inshore. Charter a fishing boat or enjoy the view while you parasail. The choices for aquatic fun in Daytona Beach are endless. 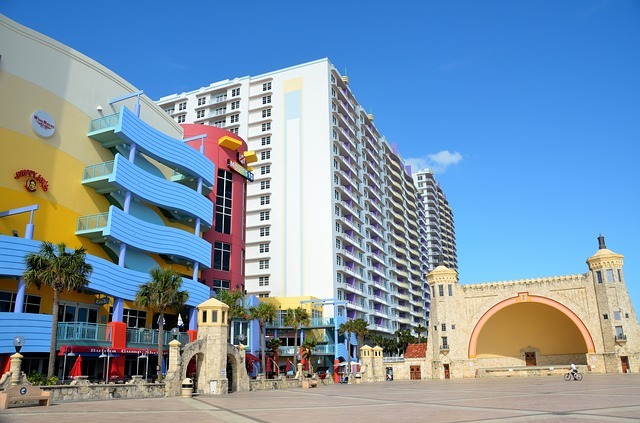 Daytona Beach also offers great seaside shopping, exciting events every day and a ton of terrific places for the entire family, including Angell & Phelps Chocolate Factory, the Reptile Discovery Center, Daytona Ice Arena, the Marine Science Center and a host of historic sites and museums. The nightlife in Daytona is incomparable; the races at Daytona International Speedway are world-renowned; and the restaurants, lining almost every street, whet every possible appetite. Watch the sunset while dining at Caribbean Jack’s, order a steak that will melt in your mouth at the Chart House, or enjoy a tropical drink in any of the countless beachside restaurants and bars. Why choose a beach wedding with us? Affordable Beach Weddings, Central Florida’s premier beach wedding company, delivers elegant, professional wedding planning at an affordable price. We will work with you to create the wedding you have always dreamed of, and handle every single, glorious detail – from elegant arches and canopy displays, to on-site hair styling and make-up, the finest photographers, videographers, florists, wedding cake designers, bands, DJs and more. We can even help you choose the perfect wedding officiant and vows, and take care of your wedding license. It’s your day, so let us handle all of the details while you enjoy the wedding of your dreams. And there is no better place for a destination wedding than Daytona Beach, which is famous for miles and miles of magnificent, pristine beaches. The races at Daytona International Speedway are world-renowned; the restaurants in Daytona Beach whet every possible appetite; and the nightlife is incomparable. 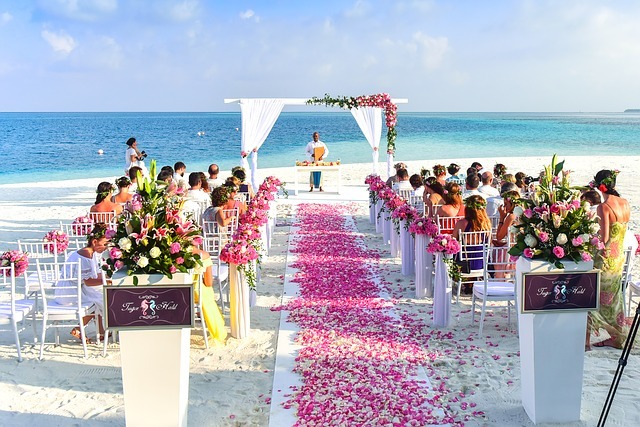 Imagine exchanging your vows with the man of your dreams with your toes in the sand and a beautiful backdrop of waves gently lapping at the beach. That’s a Daytona Beach wedding, and Affordable Beach Weddings specializes in tailoring them to each bride’s particular preferences. There is no better wedding than a Daytona Beach Wedding by Affordable Beach Weddings, Central Florida’s trusted source for perfect wedding planning. 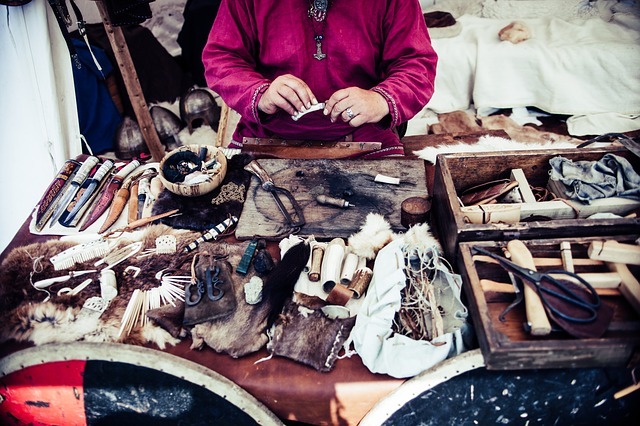 Nomadic Native Americans roamed the New Smyrna Beach area for 10,000 years before the arrival of Europeans. The first European visitation was during the Spanish Colonial Period from 1565-1763, when missionaries were sent to convert the Indians to Catholicism. The British acquired Eastern Florida in 1764. Then, New Smyrna Beach became the site of the largest single attempt at a colonial settlement in the United States. Scottish physician and entrepreneur Dr. Andrew Turnbull obtained a land grant from the British Crown, and in 1768 established a colony of 1225 and coastal plantations yielding corn, indigo, hemp and cotton. Turnbull’s colonists, plagued by disease, fled to St. Augustine in 1777. The Spanish reclaimed Florida in 1784, but they had difficulty maintaining control of the area, and the United States established the territory of Florida in 1821. In the following 20 years, several large plantations in the area which is now New Smyrna produced sugar, but those plantations were attacked and destroyed during the Seminole War which ended in 1842. Resettlement began after the Civil War, and with a population of 150, New Smyrna was born. Flagler’s Railway spurred the economy which was based on tourism, citrus and commercial fishing. In 1920, population reached 2492 and the principal areas of business were Canal and Faulkner streets. During Prohibition, also in the 1920s, the city and its river islands were popular sites for moonshine stills and hideouts for rum-runners who came from the Bahamas through what is now Ponce de Leon Inlet. After the Great Depression, the area did not recover until after WWII and the city of New Smyrna Beach was incorporated in 1947. Today, New Smyrna Beach is a charming beachside town with over 20,000 permanent residents. First, let’s go on record as saying that the New Smyrna Beach/Daytona Beach area offers miles and miles of beautiful white sand beaches, as well as great nightlife and attractions. Amelia Island, with quaint shops and Victorian architecture is also a beachside gem, with 13 miles of remarkable beaches and maritime forests simply bursting with marine life. Of course, we can’t leave the infamous Miami Beach out. Perfectly positioned between the Atlantic Ocean and Biscayne Bay, Miami Beach is ranked as a top spring break destination with one of the country’s best nightlife scenes. Ft. Lauderdale, with 165 miles of quaint canals, welcomes close to 13 million visitors each year. You better be ready for a good time when you visit the culturally diverse, crazy town of Key West. Famous for Duval Street, its natural beauty also makes it a snorkeling treasure. Sanibel Island is a tiny piece of paradise. It’s known for terrific shelling, high-end beach resorts and spectacular scenery which 240 species of birds like to call home. St. Petersburg was deemed the Sunshine City when the Guinness Book of World Records recorded our country’s most consecutive sunny days there. Destin’s unique white sand shores are a popular vacation destination; and we can’t forget the Clearwater/Tampa area with its pristine beaches and so many things to do! Affordable Beach Wedding, Central Florida’s trusted source for perfect wedding planning, is proud to serve Florida’s most beautiful beach communities. With 23 miles of gorgeous, white sand beaches, a “Fun Coast” moniker and fabulous events all year long, Daytona Beach is the perfect place for a destination wedding. Daytona Beach, known as the “World Center for Racing,” is home to the famous Daytona International Speedway and host of the Daytona 500. 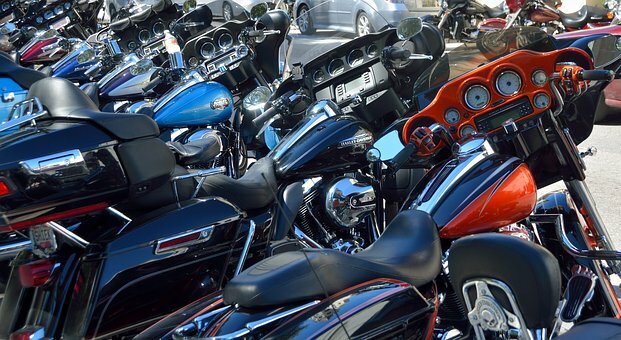 It is also THE place to go to enjoy Bike Week, one of the country’s largest, most festive motorcycle rallies. Daytona Beach also rings in the New Year right with an extravagant New Year’s Eve Celebration on Main Street. THE place to be for fun in the sun, Daytona Beach offers a dreamlike setting for sun worshippers and the best water sports around. Try paddle boating or kayaking. Jump some waves on a jet ski, or catch some waves with your board. Go fishing in the ocean or on the backwater, or “boat-hop” to your favorite seaside restaurant for lunch. Daytona Beach is teeming with terrific options for dining. There’s The Cellar, which would please any wine aficionado. Steaks melt in your mouth like butter at Hyde Park Prime Steakhouse. If you prefer a romantic Italian venue, there is Don, and, of course, there are also a host of beachside venues with gorgeous ocean views. There are so many interesting places to visit all around Daytona Beach. It is a short ride to Orlando for fun at Disney, Universal or the Epcot Center. St. Augustine will win your heart with its historic charm, and Kennedy Space Center is also nearby. With fabulous events, the best beaches, great dining venues and interesting nearby towns and attractions, there is no better place than the Daytona Beach area for a destination wedding! The sun glistens along the top of the water and softly caresses your skin. Ocean waves gently lap the shore. Your toes are in the white sand. Your dress is what fairytales are made of, and you smell the faint scent of your beautiful bouquet while you prepare to exchange vows with the man of your dreams. It’s your wedding day, and it is perfect. Sharing your vows on the beach – nature’s most breathtaking venue – can bring beauty and meaning to your wedding. Affordable Beach Wedding can bring your dream wedding to life, and there is no better place for a destination wedding than the Daytona Beach/New Smyrna Beach area, which is famous for the most glorious, pristine beaches. 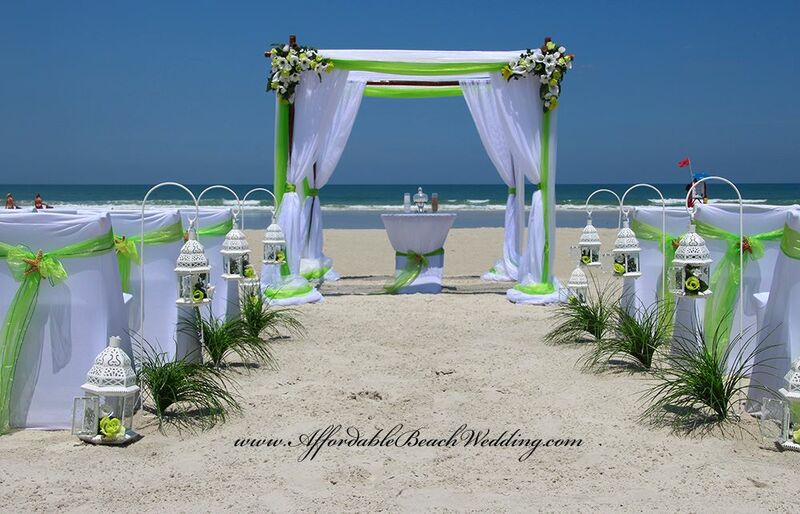 Affordable Beach Wedding, Central Florida’s premier beach wedding company, delivers elegant, professional wedding planning at an affordable price. We provide elegant arches and canopy displays, on-site hair styling and make-up, access to the finest photographers, videographers, florists, wedding cake designers, bands, DJs and more. We help you choose the perfect wedding officiant and vows, and we take care of your wedding license. It’s your day…your perfect wedding day, so let us take care of the details while you enjoy the wedding of your dreams. Make the most of the most important event of your life. Say, “I do,” to Affordable Beach Wedding, Central Florida’s trusted source for perfect wedding planning. Christmas is just a few days away! Affordable Beach Wedding is offering a special on all weddings booked through Christmas and New Years holiday. Book from now until January 5th and receive %10 off on Princess package or Fairy-tale Package. Are you planning a vacation in Orlando this coming year? 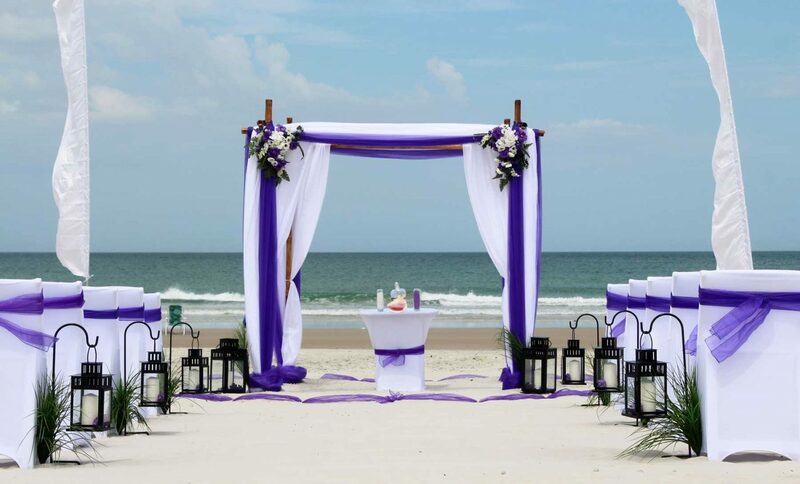 Why not come to New Smyrna Beach or Daytona Beach and have that dream beach wedding you always wanted? You can enjoy the best beaches in central Florida and have the Disney experience as well. We are only an hours drive from Disney World in Orlando Florida. If you are considering a beach wedding in Florida, take a look at our beaches and what we can offer. We have beautiful white sand and gorgeous blue water. New Smyrna Beach as well as Daytona Beach, always has great events happening year round. 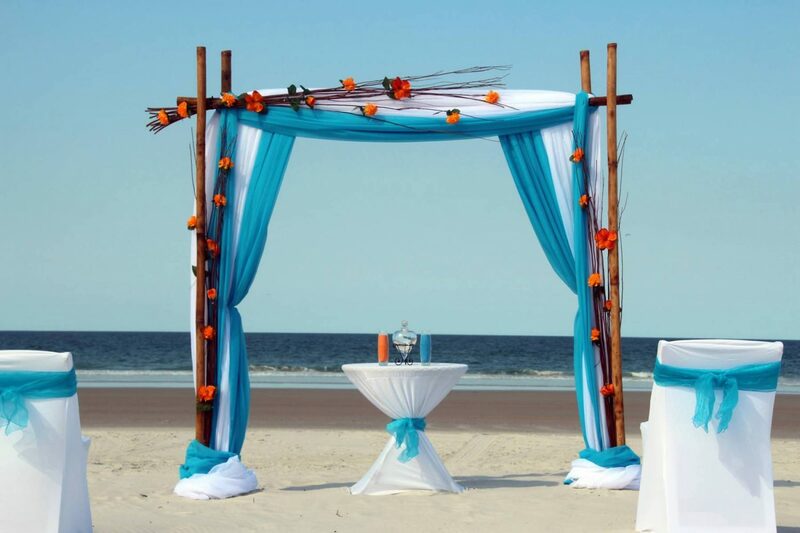 March, April and May are a few of our favorite months to do weddings on the beach in Daytona and New Smyrna Beach. The weather is very nice during the spring months in Daytona and New Smyrna Beach. However, the weather in Florida is nice year round. Thats the reason so many people flock to the sunshine state. Affordable Beach Wedding can offer you advise concerning any questions you might have about doing a beach wedding. Here are a few things to consider when you first decide to have your wedding on the beach in New Smyrna Beach or Daytona Beach. 1. How many guest will be coming? Volusia County requires you to have a permit if you are hosting an event of 50 people or more. The permit is $100 and they also will require you to purchase event insurance. the cost is usually around $100 for the insurance as well. So your cost will be around $200 to cover both the permit and insurance. We can explain how to get this started and whom you will need to contact though beach patrol services. It is always best to have the permit if you think your guest list is gonna be close to 50 . When choosing the time of day for your beach wedding, first consider the tides. The tides can affect the amount of beach is some places more than others. Of course the weather can change how high the tide will actually be. We are experienced and know the places that are most effected. We advise you to set the wedding time at the tides lowest point or on the going out tide. However, during some seasons the tide may not be as high as others. We can take a look and advise you what would be the best time of day to choose. This is a question every couple ask! I always advise the couple and guest to be flexible the day of the wedding. The good thing is most rain showers dont last long and 30 minutes later, you never knew it rained. We will watch the forecast the day before and day of wedding. If its calling for rain during the time we have set, we can adjust the time to avoid the showers. It is a good idea to keep your guest informed that time may change if necessary. The good thing is most destination weddings are small groups of people in which makes it easier to move the time. We always try to make it happen as we planned. If worse comes to worse, we can do the ceremony at your reception site. However if we can wait out the rain, thats what we prefer. The worst thing that can happen to the setup is chair covers getting wet. If that should happen, we just take them off and dry the chairs for your guest. As many weddings as we do each year, we have not had to alter time very much at all. We will do everything possible to make sure everything goes as planned. Give Eva a call or text at 386-279-1179 and lets get your date reserved today! Looking for a destination wedding in Florida? New Smyrna Beach is the perfect beach town to host you and your guest. New Smyrna Beach can be proud to add another mention to its long list of accolades. In November 2013, “Travel & Leisure Magazine” placed New Smyrna Beach on its list of the top 15 “World’s Coolest Surf Towns.” In fact, New Smyrna Beach was the only city on the east coast of the United States to make the top 15 list. 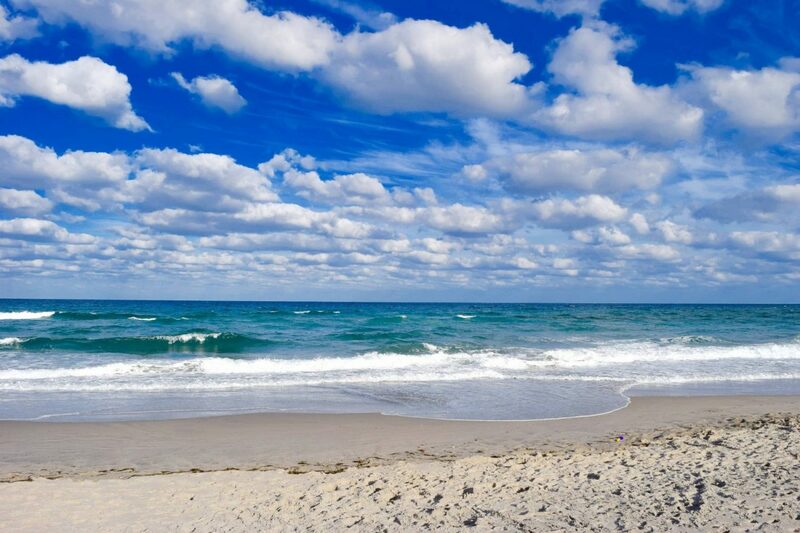 The Florida International University professor’s, Dr. Beach, annual rankings of “Best Beaches” are based upon 50 criteria ranging from water temps, sand and water qualities, to safety and amenities. New Smyrna Beach has some of the best restaurants in the area. Norwoods treehouse offers a unique setting to host your wedding reception with excellent food. The Garlic restaurant offers a beautiful garden setting and the food is over the top delicious. If you want a restaurant on the river, Riverview Grill is definitely a choice you will want to consider. New Smyrna Beach is definitely a hidden treasure in Florida. The small town feel is perfect for the couples who want to get away from the hustle and bustle of a tourist beach town. We are an hours drive from Orlando where you can visit all the attractions but yet have the ocean and sand for your romantic beach wedding. New Smyrna beach is an arts community and host several events year round. So if you’re considering a beach wedding during your visit to Florida, consider New Smyrna Beach. You won’t be disappointed!